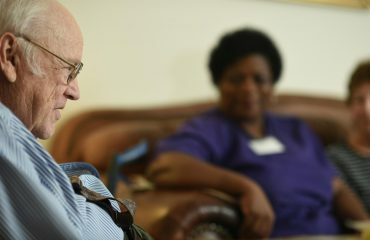 Caregivers can help enhance the quality of life for veterans by advocating on their behalf and helping them find services for their unique needs. Veterans have sacrificed everything to protect and serve our country. They have served in conflicts around the world for the freedoms that we have today. It is essential that veterans are cared for both physically and mentally, both during and after their time in the service. Throughout the duration of their lives, we should continue to honor and care for them. 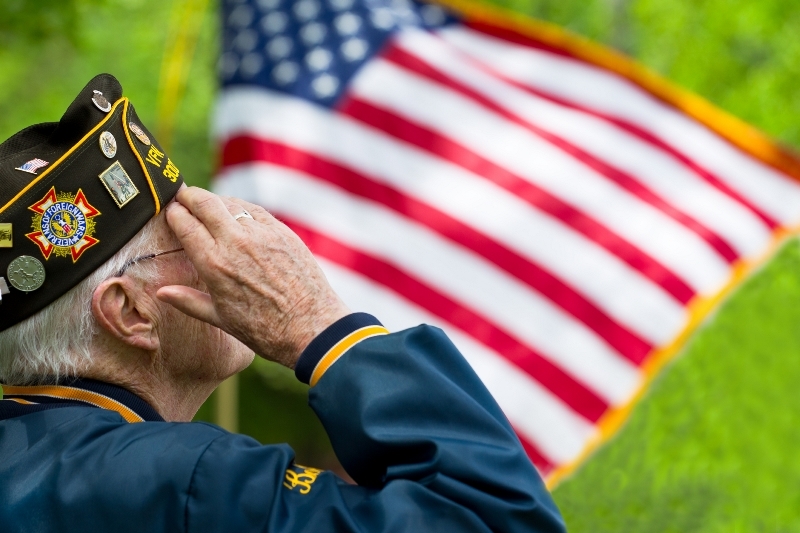 According to the 2012 U.S. Census brief (census.gov), there were more than 12.4 million veterans ages 65 and older. With veterans and the population in general having a greater life expectancy than in years past, it’s important that our care can help sustain the public services and special support that these individuals need. The type of care that veterans may need will vary and can include routine physical care, traumatic brain injury care, treatment for post traumatic stress disorder and other emotional needs, rehabilitation, nutritional and dietary needs, wound injury and trauma, and more. The diversity and uniqueness of the care is as diverse and unique as the individuals who have fought for our country. The Department of Veterans Affairs (VA) provides benefits and services for a variety of issues that veterans face. Compensation can include disability compensation, Special Monthly Compensation (SMC), Adapted Housing grants (benefits.va.gov), Service-Disabled Veterans’ Insurance (benefits.va.gov), Veterans’ Mortgage Life Insurance (benefits.va.gov), Aid and Attendance (A&A) and Housebound care (benefits.vs.gov), Extended or long-term care and geriatric care. Much of this compensation is a tax free monetary benefit paid to veterans and/or their spouses, surviving spouses and parents. Which programs each Veteran qualifies for will depend on their unique circumstances. Many veterans need more than just physical care. They need mental and emotional care to help them in dealing with PTSD, depression, suicidal thoughts, hopelessness, anxiety and other issues. The VA offers mental health care for veterans (mentalhealth.va.gov), and is committed to a recovery-centered approach. Veterans can receive primary care for mental illnesses or receive more intensive treatment in specialty mental health care if necessary. Caregivers can help improve the overall quality of life for veterans on a day-to-day basis by engaging with them in different activities. Allow them to share stories: Ask veterans stories about when they were younger. Many of them will love to re-live tales from their past and share them with someone else. Let them give back: Although veterans have already given so much, it can be important for them to continue this spirit of giving to others. Find a place where they can volunteer. It can help boost confidence and give a sense of purpose. Help them find community: Military life has a built-in community and many veterans may miss that once they are no longer active. Help them find a group where they can connect with others and share similar experiences. Keep a routine: Many veterans are used to regimented routines and thrive off of schedules. Keep a regular routine each day and allow them to know the schedule. This can give them a sense of peace. For years these veterans were advocates on behalf of us—whether it was directly or indirectly. We have all benefited from the sacrifices they have made. Caregivers can be their advocates by helping them navigate through various VA benefits, finding mental health solutions and doing daily activities with them that increase their quality of life. Caregivers should pay attention to veterans and what their individual needs are. Make sure to also recognize the abilities that veterans still have and to acknowledge those as well.